This book is devoted to the computer modeling of two-dimensional materials consisting of no more than two sheets of graphene or silicene. 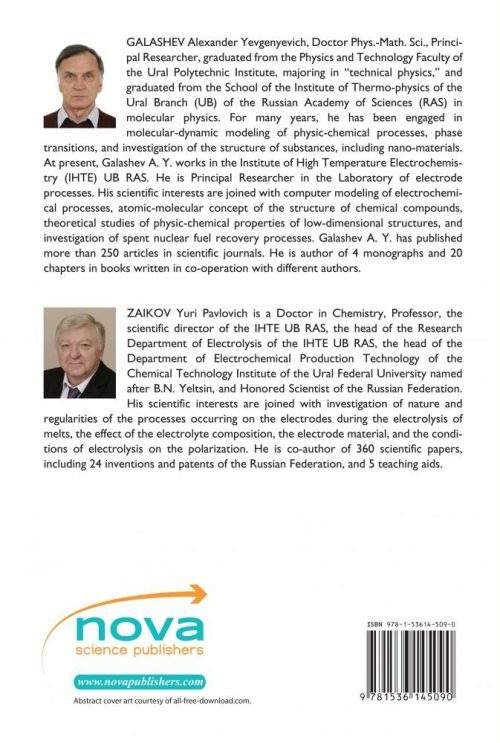 The results of the investigation of the mechanical and thermal properties of such ultrathin films that are in a free-standing state and, also, located on substrates of silver, copper, and graphite are presented. The thermal stability of copper, nickel, and aluminum films of monatomic thickness on graphene has been studied. The calculated data on the temperature dependence of the thermal conductivity of single-layer graphene and silicene are presented. The excellent adsorption properties of graphene allow one to use it as a filter. A method for purifying graphene from heavy metals (copper, lead, and mercury) is proposed and implemented in a computer experiment by bombarding a contaminated graphene film on a copper substrate by clusters of noble gases with energies from 5 to 30 eV at various angles of incidence. This method of purifying graphene from mercury is compared with the method of heating this toxic metal deposited on graphene. 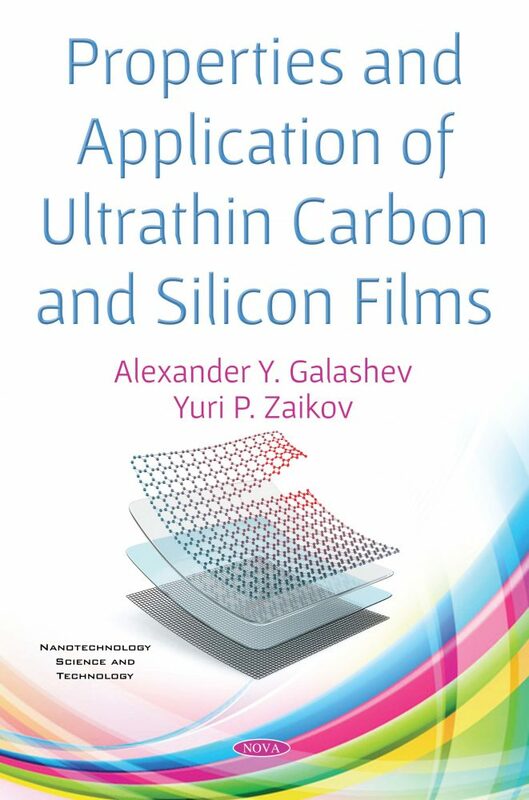 The book is aimed at creating new composite materials with the use of graphene and silicene. Considerable attention is paid to the creation of high-capacity, rapidly cyclic, long-lived anodes of ionic batteries. Graphene and silicene can be used as anode materials of lithium-ion batteries, while their charge capacity sharply increase and the charging time is shortened. Here, the authors describe the results of the passage of lithium ions through graphene and silicene membranes. Vacancy defects form the holes in these membranes. Further development of electrochemical current sources is constrained due to the lack of suitable anode material. Graphene, and especially silicene, are the main materials for designing the anode of a lithium-ion battery. This book describes computer experiments involving the passage by lithium ions through the graphene, silicene, and silicene-graphene channels formed by corresponding perfect sheets and sheets containing vacancy defects. The processes of intercalation and deintercalation of lithium into silicene channels of various degrees of defectiveness located on a silver and copper substrate are considered. The lithium ion moving in the electric field along the channel is considered as a probe for determining the detailed structure of the channel. This approach allows us to investigate the surrounding of the ion by both Si-rings and Si-polyhedra. The prospect of using silicene on pyrolytic graphite as an anode material is examined. Computer tests are supported by the calculation of the energy, kinetic and mechanical characteristics of the functional elements of the anode. In each case, all components of the stress tensor of a two-dimensional material are determined. This book will be useful for scientists, graduate students, and students who are interested in the actual use of unique two-dimensional materials in the form of graphene and silicene. This book may interest technologists engaged in the field of electronics and the creation of electrochemical current sources, materials scientists, researchers using low-energy cluster beams, and specialists in the field of computer modeling. This work was supported by the Russian Science Foundation [the grant number 16-13-00061]. This book will be useful for scientists, graduate students, students who are interested in the actual use of unique two-dimensional materials in the form of graphene and silicene. The book may interest technologists engaged in the field of electronics and the creation of electrochemical current sources, materials scientists, researchers using low-energy cluster beams, specialists in the field of computer modeling.